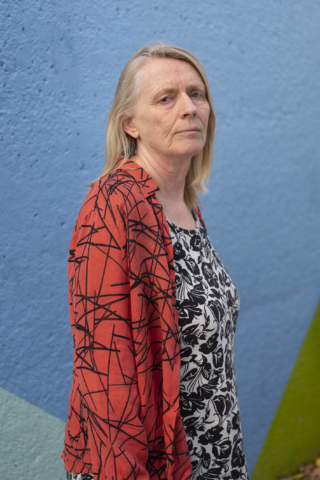 Lucy has known of Clean Break since she moved back to London in the mid 90s after a stint up North with Nomads, a theatre and film company she co-founded which worked with vulnerable groups (including prisoners) and performed plays in unconventional venues. She postponed her plan to take off to the States to work in film for a few months, working here as a stage manager on the fringe, during which time she took a few workshops with Clean Break including a Complicité workshop culminating in a devised piece, The Ex-Industry, performed in local prisons and a rehab unit. She went on to work professionally with Clean Break in their stage management teams, including on Mules and Yard Gal at the Royal Court, touring nationally with the latter around prisons and art centres. In the States she worked in Off Broadway theatre and the non-union film sector mainly on the technical side, though continuing to take on bit parts as they came along. Back in the UK she continued to work in theatre, stage managing and as assistant director on Life After Life at the National. Since 2003 she has concentrated on artistic work across media, including a couple of years playwriting and showcasing new works. This is her first professional acting engagement.